You can now drive Jeremy Scott Signature Wings Around Town!! Because of Jeremy Scott, I have developed some crazy love for his winged sneakers and jackets! I need to get me some Adidas connection to get me some his awesome collections. 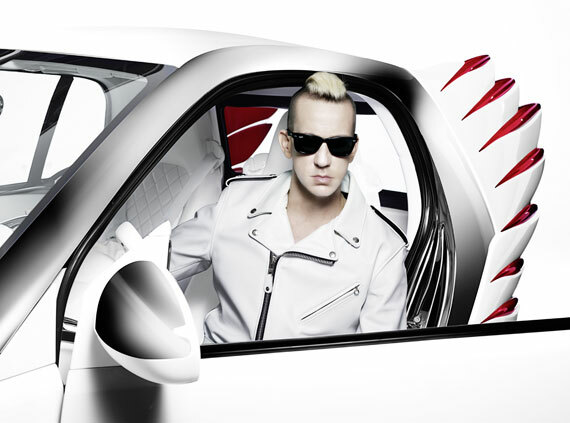 Why am I not surprise we now have fashion forward designer, Jeremy Scott’s signature wings designed on a car? Named “Smart Forjeremy” this is the first time a designer has changed the vehicle exterior. Have you seen how gorgeous and sleek this limited edition car looks? I sooooo wana fly drive in this!